We eat leftovers in my home. From September to December, leftovers are a necessity. A stark contrast to my childhood dinners. Though daddy worked at Wheaton Plastics, a thriving, noisy, dusty, and hot factory that kept the residents of the little town of Mays Landing bustling, his pay wasn’t much. Some years mom worked, but I still qualified for Head Start, a federal program for low-income families that prepares children for school. Regardless, both of my parents were not fond of left overs. Hence, fresh meals everyday. LOL! Imagine that. Baked potatoes, fresh veggies, pasta, steak, but rarely seafood. The notions may sound nice, but it is unrealistic for my family… At least until I can afford a private chef. LOL! Fatigue set in after grocery shopping for the upcoming week, so I needed something simple, at least for the next two days. Since the temps are hitting the 60’s and 70’s, it’s starting to feel like fall has arrived, so I’m cooking my first pot of chili of the season. No beef! Turkey. I was also tired because I walked the lovely Ocean City bridge again today. Yesterday I ran the bridge. Today my bestie from high school conquered her fear. Just like me, she was terrified. I reassured her that would walk it and she did. Occasionally I would stop her and turn her around. I pointed out to her the height and distance we walked. She was amazed. DB, I am so PROUD of you; you are walking all over your fears!! Once again, ideal temps this morning made for any perfect outdoor activity. I am sad to see the summer go, but I am also enjoying the fall temperatures– they are refreshing. Almost like a cool shower after a long distance run on a hot summer day. I must go now and finish preparing for my work week. 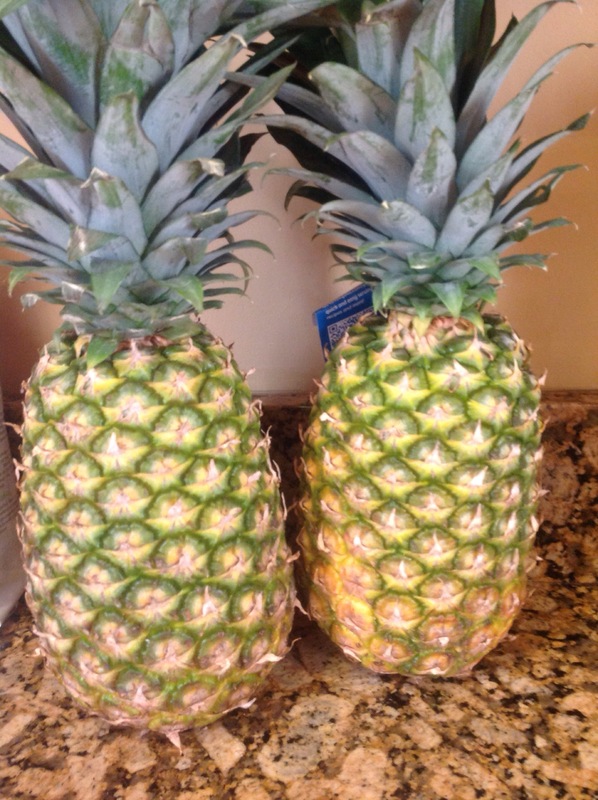 Me and hubby enjoy fresh pineapples in our smoothies. Mother also likes pineapples. I need to buy at least two per week. 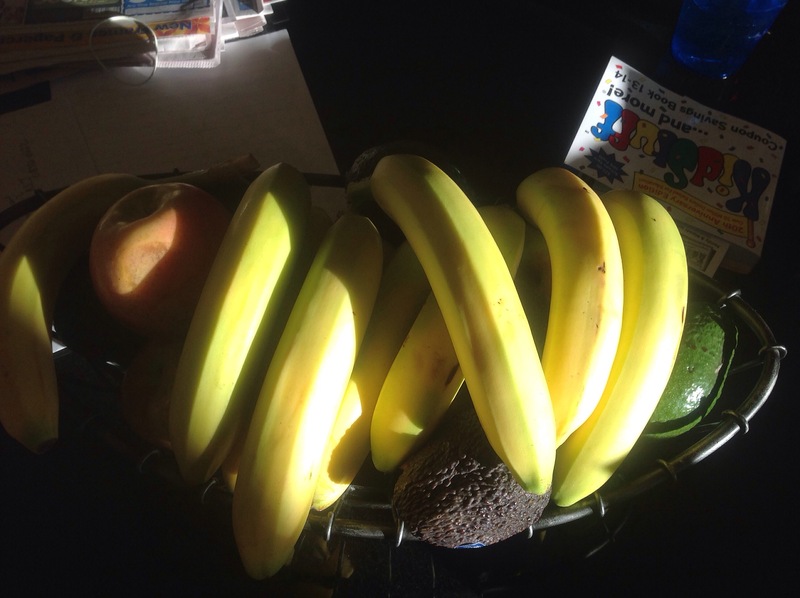 I filled the fruit basket with Gala apples, bananas, and avocados. 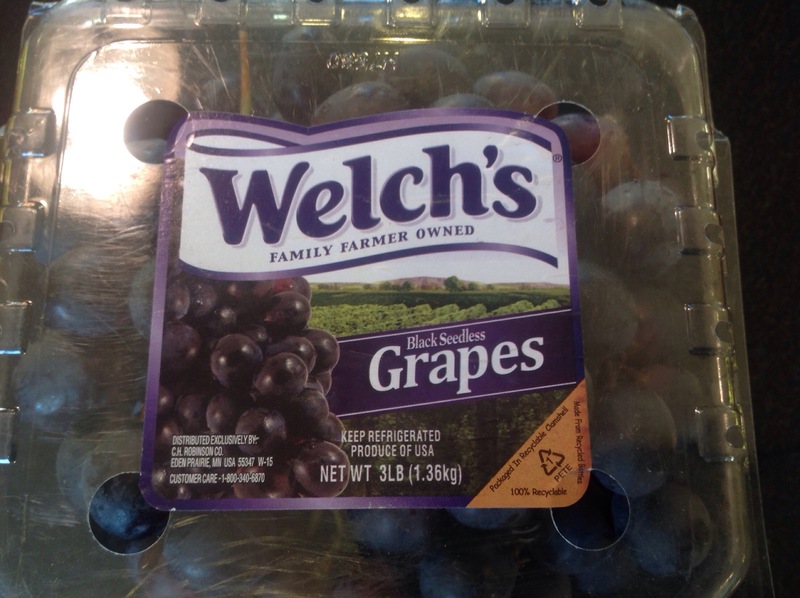 These dark grapes from Sam’s Club are very sweet. Yes, they contain sugar, but at least it’s natural sugar. Tailor enjoys the grapes as snacks for lunch and I love them sliced in yogurt. Tailor and I eat these plain by the handful. 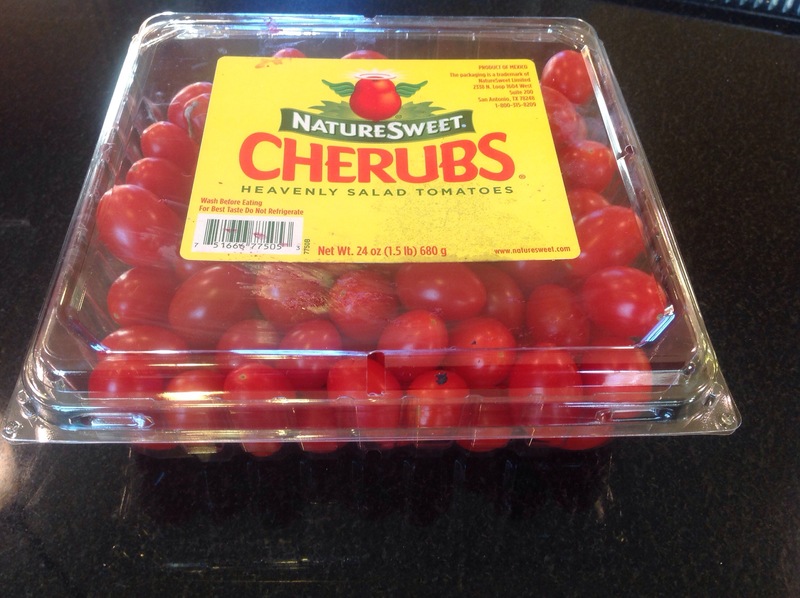 They’re great in salads and even better in egg omelets. 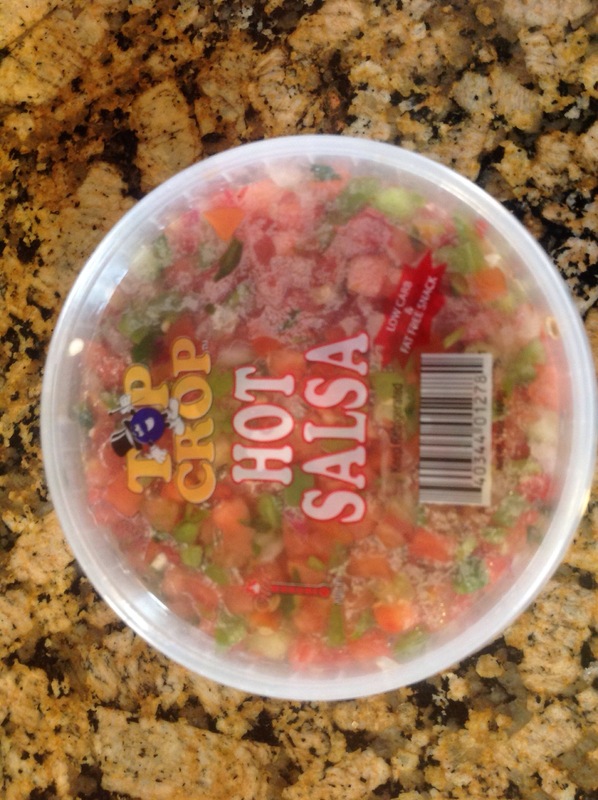 Add this freshly made salsa to any salad and it is guaranteed to spice things up! 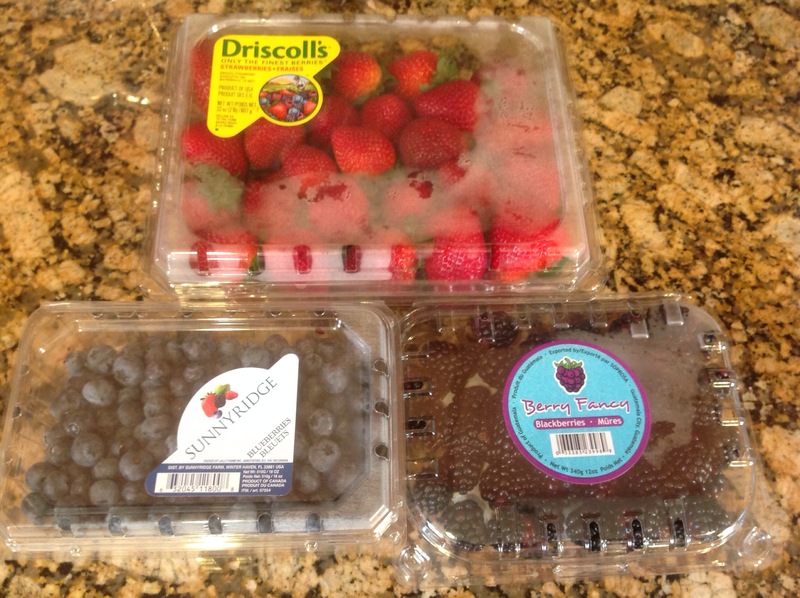 Yes, I eat lots of fresh fruit! To squeeze more nutrients into your diet, add strawberries, blackberries, or blueberries to a smoothie, yogurt, frozen yogurt, or ice-cream. Yummy! I go through 2-3 of these a week. 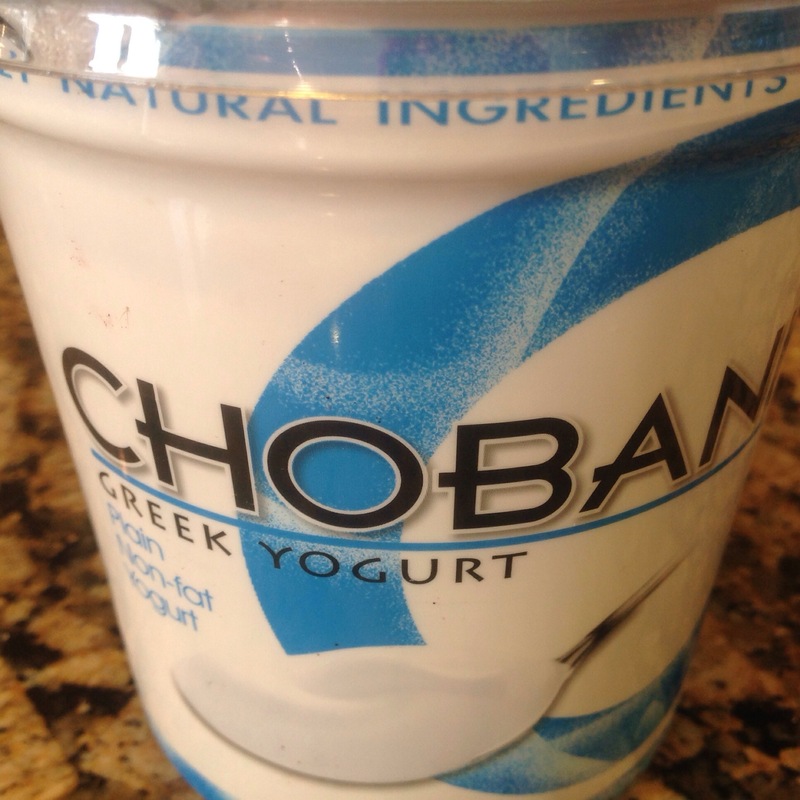 For added protein, I add yogurt to my breakfast smoothies, or I’ll make up a yogurt parfait of my own for a healthy morning or afternoon snack. 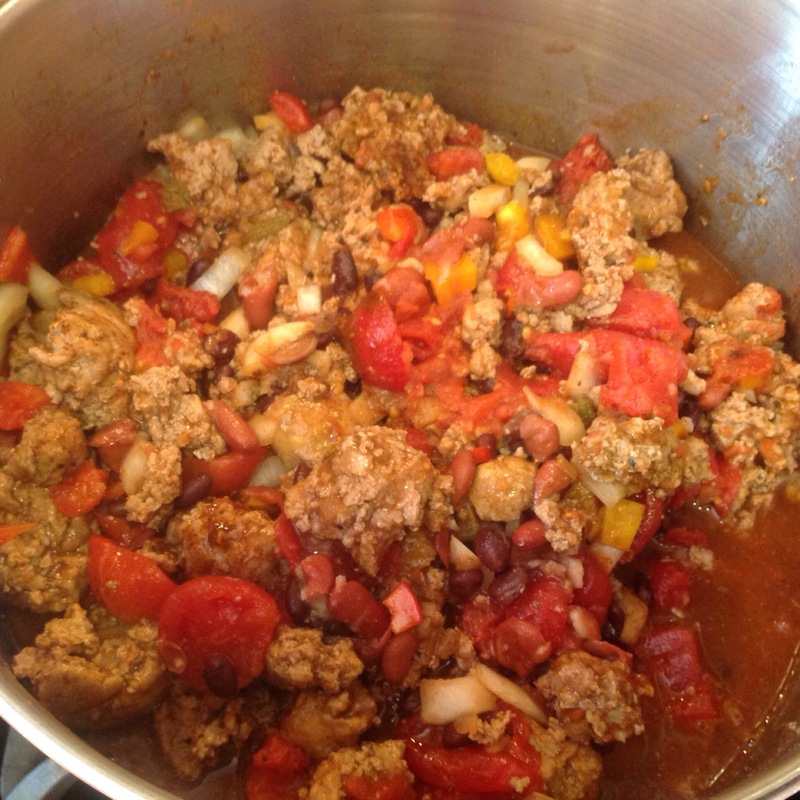 This entry was posted in Family Living, Fitness, Healthy Eating, Healthy Living, Inspiration and tagged chili, Fitness, fresh produce, grapes, healthy diet, healthy life style, healthy lunch, healthy-living, leftovers, lunch ideas, Mays Landing New Jersey, tomatoes, Turkey, turkey chili. Bookmark the permalink. I love love love your blog!!!! I don’t think I could ever walk that bridge—my fear is water. Thank you so very much! I sincerely appreciate your steady comments & encouragement. Now listen up! You CAN walk the bridge. I repeat, YOU CAN WALK THE BRIDGE. Saturday’s are good for ms; let’s do it. Leftovers are even better on day two & three. ;). The WordPress app on my iPad sometimes does weird stuff. Smh! Yes leftovers are better because all the seasoning has soaked in so it makes the food taste better!! lol Thank God for leftovers!!! No problem. I also have floatees for your arm. Half way over, you will take everything off.